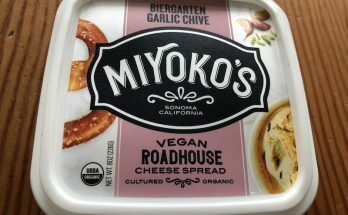 While many vegans are looking for cheese to melt on sandwiches or in recipes, one of the things I missed most (until now) was simply snacking on cheese and crackers…which wasn’t always easy to do. 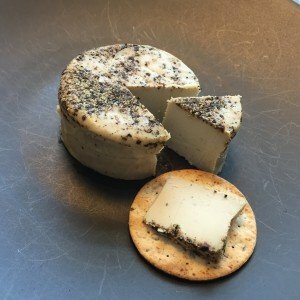 Treeline‘s cracked pepper cheese, however, is perfect for slicing and nibbling. 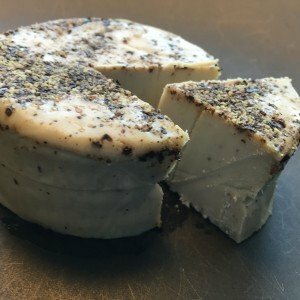 This cheese comes in a small package (which doesn’t last long in my house), but which would be perfect for a small party…probably 2-4 people could enjoy this little round of delicious, creamy, peppery cheese. 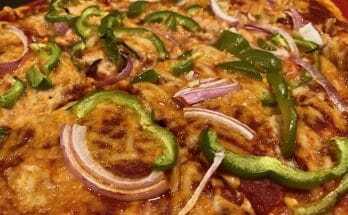 It slices beautifully, and the pepper that layers the top adds a wonderful kick to an otherwise smooth, nutty flavor. 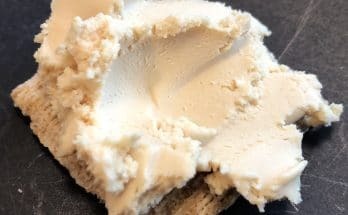 There is no way a non-vegan would not love this cheese (gluten-free and made of cashews) — so it’s a great item to bring to parties and gatherings. 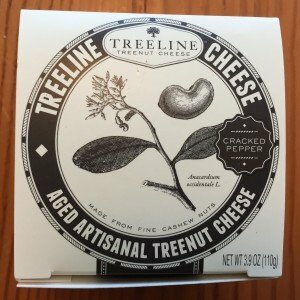 Visit Treeline to learn more about its delicious cheese (and we have more reviews of Treeline cheeses to come, so visit us again!). 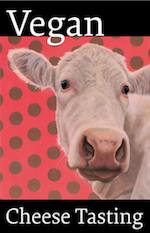 I especially love Treeline’s page Why We’re Dairy-Free, and don’t miss the company’s FAQ page, which will tell you all about Treeline’s cheeses and why nut cheeses are so much healthier than dairy.